Tailored, quality car covers made in Perth, Western Australia. A car is one of the biggest investments we Australians make in our lives, so it makes sense to ensure that our investment is secure. Protection from the sun, dust, sand, pollution and wilful damage, will ensure your car’s paintwork and upholstery is kept in mint condition throughout its life, maintaining your pride in it and retaining its resale value. At Chief Car Covers we have over 1,300 car cover patterns, enabling us to fit almost every car, including prestige cars, sports and vintage cars, family sedans, street rods, 4WD’s, utes, coupes and station wagons. All of our covers are individually made to suit your vehicle requirements, ensuring a snug fit. Using a car cover means that you save time, water and money by not having to wash or rinse your car as often – and with our compact carry bag, our lightweight covers are easy to store. We provide the weekend car enthusiast or collector a way to keep their car dust free. 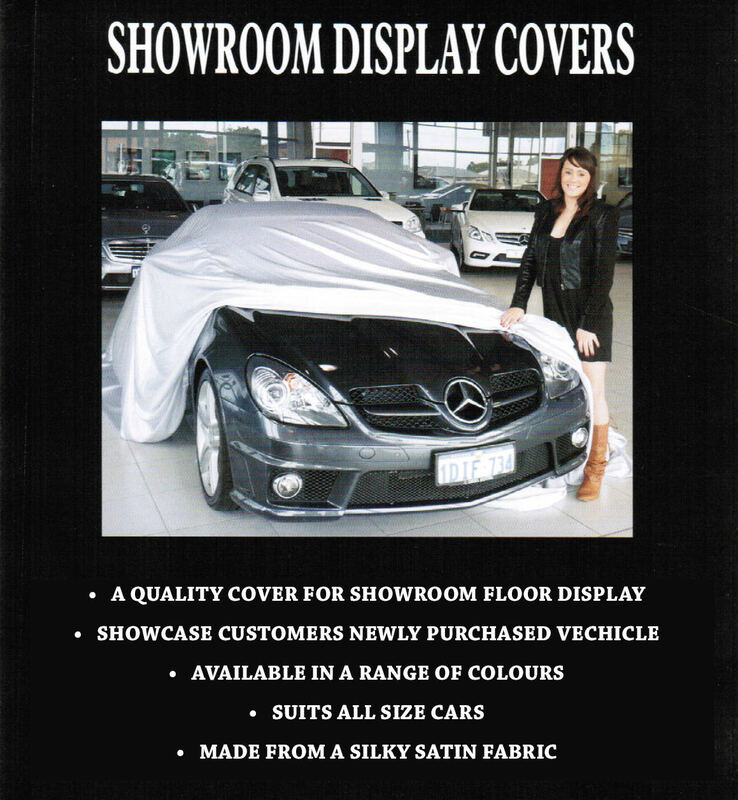 At Chief Car Covers we have over 40 years of experience in making covers for the Australian Market. All our covers are fully manufactured in Australia, and because we don’t carry any stock our covers are made to order, it may take up to 10 working days for the cover to be made and dispatched. Contact us to request an online quote or a fabric sample. Click the image to view our new showroom display covers.